Although BMW took over Land Rover in 1994 from British Aerospace, they didn’t have a hand in the design of the P38 Range Rover. The first Land Rover they designed, then, was the Freelander 1…and it was a disaster. 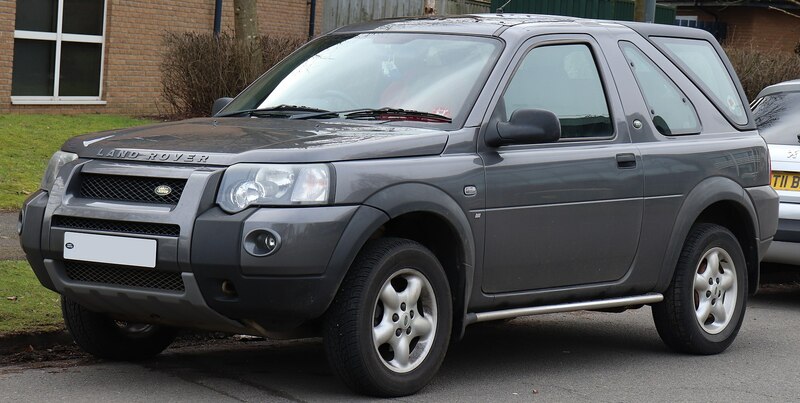 The Freelander was designed to be a smaller, more city-centric car than the Range Rover and Discovery. It was lightweight, reasonably powerful for the time, and surprisingly fun to drive. Unfortunately, there’s not much more positive to say about it. The interior was as cheap as an early 90s Toyota Tercel – and this was from the company selling the very luxurious Range Rover. Although it had AWD with a transfer case that could shift it to a 50/50 power split, the Freelander had very for little off-road abilities, and the viscous coupling that controlled the transfer case was prone to problems. It was plagued with electrical issues. The icing on the cake, however, was the Rover “KV6” engine, which ate head gaskets for breakfast, required very expensive timing belt services, went through intake manifolds like candy, and suffered catastrophic damage the moment the temperature needle climbed above normal – and this happened often, as the cooling system was made from very brittle plastic. The Freelander is a forgotten part of Land Rover history, mocked relentlessly whenever someone reminds the community that it existed. Perhaps it should stay forgotten. The viscous coupling on the transfer case (known as the Intermediate Reduction Drive, or IRD) can seize due to degradation of its fluid, forcing the car into permanent 4WD or permanent 2WD. The former is often identified by “saw tooth” tire wear, and puts severe stress on the IRD and rear differential, eventually causing failure for both. Repair of the viscous coupling alone is $1600, not including the IRD or differential.